Enabling women and girls represents the single biggest opportunity for human development and economic growth. 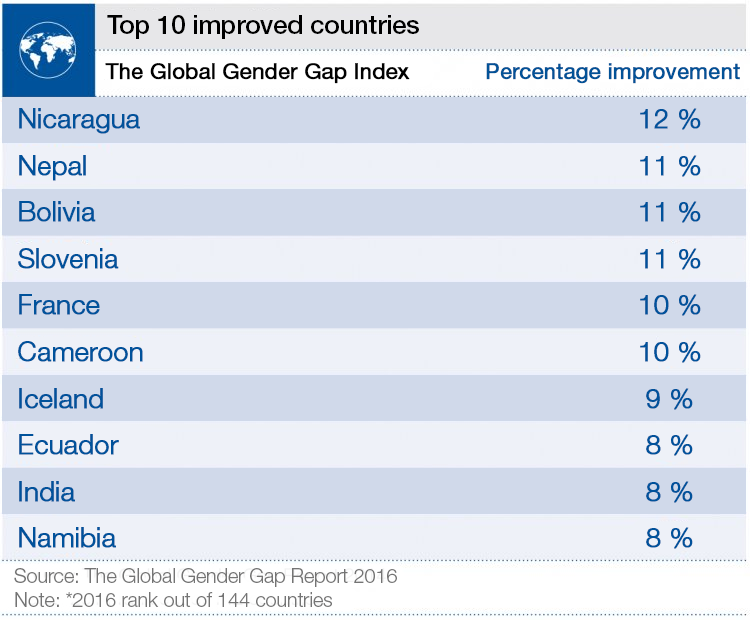 Despite this and many organizations working to address the issues, according to the World Economic Forum’s Global Gender Gap Report things have worsened during 2016 and economic gender equality will not be achieved for another 170 years. It is worrying that we are not making progress; unacceptable that we are moving backwards. It is a well-quoted figure that equality for women in the labour force would add $28 trillion to the global economy by 2025 . Providing girls with just one extra year of secondary education can increase their potential income by 15-25%. But outdated norms and gender stereotypes are impeding our own ability to achieve the systemic change required. The same stereotyping affecting women more broadly is holding back the global economic growth and social progress that will come from increased gender equality and women’s empowerment. Already, women are the world’s most powerful consumers controlling 65% of consumer spending , with an economic impact growing year after year. It is estimated that their incomes will increase from $13 trillion to $18 trillion by 2018 . In my job running Unilever’s Personal Care business – manufacturing and selling everything from shampoos, soaps and skin creams to deodorants and toothpaste – women account for more than 70% of our sales. I need no convincing that women’s development is worth investing in. Every day, 2 billion people use our products. I believe that we can use our scale and reach to effect a positive transformation by challenging the social norms and gender stereotypes that hold women back. We have built partnerships with many stakeholders to help achieve this, for example between our skincare brand Pond’s and the Vital Voices Partnership, to invest in women leaders who want to find solutions to socio-economic, environmental or human rights issues in their communities. We are also working with the Clinton Giustra Enterprise Partnership (CGEP) to train women entrepreneurs in developing countries and give them access to our distribution networks to help them and their communities to thrive. We are working with UN Women to create programmes to help secure women’s safety in our tea value chain. Brands like Dove have paved the way by changing beauty stereotypes – Dove’s Self Esteem Project was developed to ensure that the next generation grows up enjoying a positive relationship with the way they look – helping them to raise their self-esteem, realize their full potential and play an active role in society. These largely unconscious biases and stereotypes are likely part of the reason behind the regression that – despite many well-meaning efforts – we have seen over the past year. 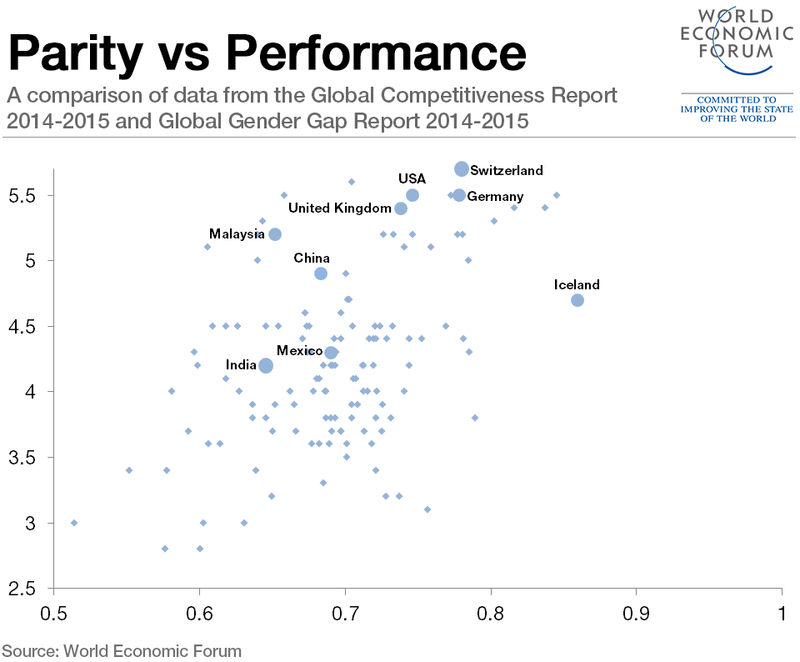 To stop this backwards trend, and indeed to expedite progress towards gender parity, we must focus not only on policies, but also on the bias and negative stereotypes born of limiting social norms. In response to this, in June last year, we announced #unstereotype – a global ambition for all of our brands to advance advertising away from stereotypical portrayals of gender. We have only just started, but we are committed. And we are not only looking at our advertising – we have also made it a priority to promote opportunities for 5 million women by 2020 across our value chain: from our workplaces, through our supply chain and distribution networks; to our consumers, through our brands. However, it would be foolish and arrogant of us to think that we can single-handedly change stereotypes or advance gender parity. By their very nature, norms and stereotypes are deeply entrenched. But this can be achieved, through sustained and collective action. Companies collaborating, or acting in concert, can exert a force greater than the sum of their parts – especially if they can also co-opt other organizations, governments and non-governmental bodies. As business leaders, we must make use of joint platforms like the World Economic Forum’s System Initiative on Gender, Education and Work to embed the advancement of women in strategic and business goals. We must sign up to the Women’s Empowerment Principles, and support the work of influential groups, such as the UN High Level Panel on Women, to create powerful and lasting solutions. We must not accept another year in which progress towards gender parity isn’t made and we certainly cannot wait 170 years for women to have the role that they deserve.